Source: Burfoot, winner of the 1968 Boston Marathon, near his home in Mystic, Connecticut. Back in 1963 when I began running as a high-school junior, it seemed a risky business. So many people warned that I would end up a wreck. My heart would grow weak with fatigue. The disks in my back would be ground to dust. My knees, if they moved at all, would creak and groan. 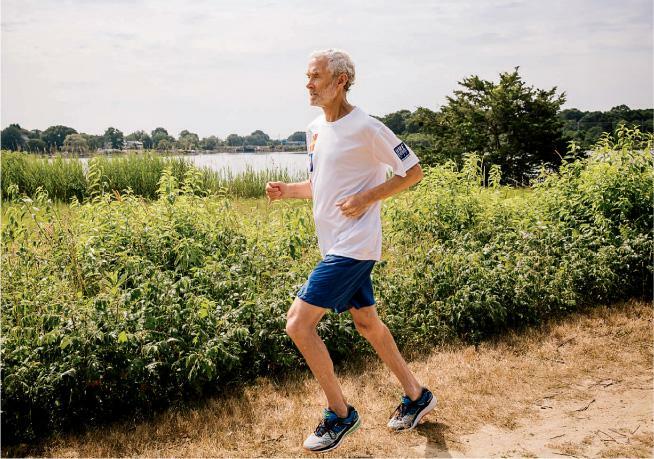 In fact, my running pals and I, all under 30, knew only one runner who had reached the advanced age of 55: “Old John” A. Kelley, two-time winner of the Boston Marathon. I figured the other runners from Kelley’s generation must have died from heart disease. Or were confined to wheelchairs. Or mental wards.